Just regular folks. 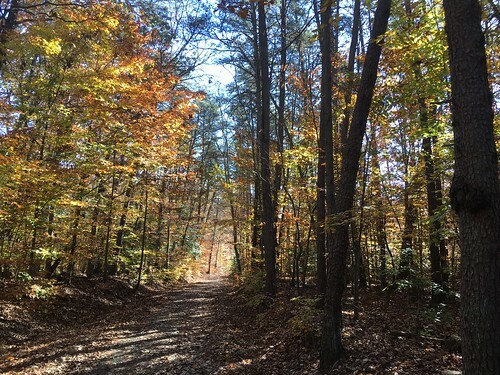 : Woods, orienteering, pie face. I went for a run today in the woods. 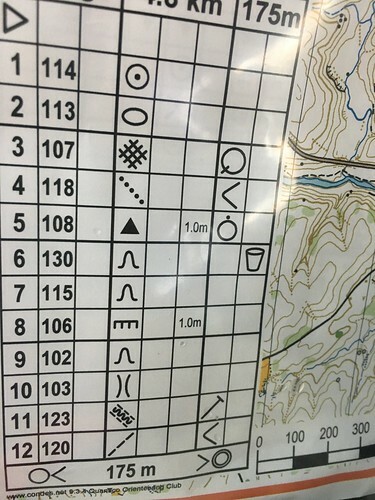 I also went orienteering in the woods today too. This is the third time I've gone. The first time, I easily did the two beginner courses in which the controls hug pretty closely to the trails. The 2nd time I went, I decided to do the easiest intermediate course - the controls were off the trail and I thought I could wing it (there are like 8 levels of difficulty and I was only getting up to 3rd level), I found the first control, but couldn't for the life of me find the second control and was lost in the woods for a good while and embarrassingly had to pull out my phone GPS to find my way back to the visitor center of the park. This 3rd time, I had spent some time earlier in the week trying to understand the little codes on the map, so I was rudimentarily prepared. I also was semi-determined not to get too lost in the woods. This time, I found the first three controls in about an hour, I didn't use my phone GPS to rescue me, but I did ask a 14 year old I bumped into for directions and I felt lost only 40% of the time I was out there. After a long week, we all enjoyed watching Jane, Sarah and Christine play the game Pie Face. Love that! I want a pie face.